Expansion project would bring 26 boat slips to Newport Beach. NEWPORT BEACH — Plans to expand and update a marina in Newport Beach was unanimously approved by the California Coastal Commission during the state agency’s February meetings on the central Orange County coast. 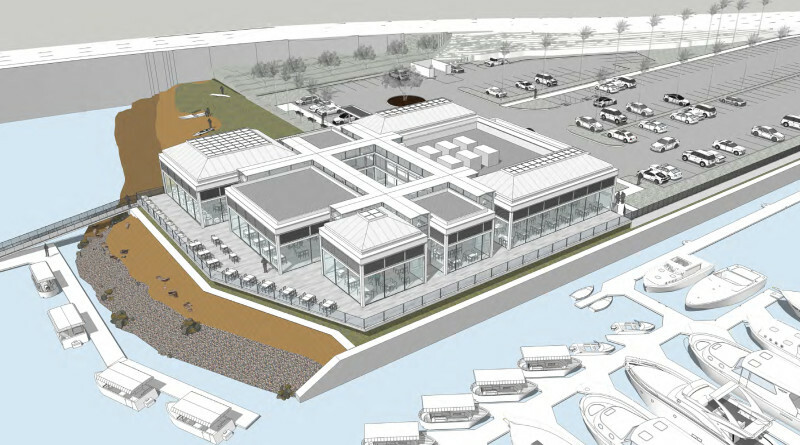 A proposal to bring 26 additional boat slips, public dock space and one-story restaurant to Balboa Marina West in Newport Harbor’s Lower Bay will move forward after receiving the support of commissioners Feb. 9. Plans also call for the removal of existing riprap with a new landside riprap as well as demolition and replacement of a parking lot and restroom. Almost 10,000 cubic yards of dredging is proposed for the marina expansion and dock construction, affecting nearly 1,583 square feet of eelgrass beds in shallow water. Accordingly the developer is required to commit to an eelgrass mitigation plan. Newport Beach Harbor Resources Manager Chris Miller said the project’s public dock would create public access in an underserved portion of the bay. “The harbor community supports [the public dock] as being a suitable location in an underserved area of the harbor for public access,” Miller told commissioners. The updated private marina will have 131 boat slips, up from the 106 currently in place, according to Shawna Schaffner, CEO of CAA Planning. The marina project is not without opposition or skepticism. Some speakers at the Coastal Commission meeting asked the agency to pursue a complete environmental impact review of the project. A petition opposing the Balboa Marina West project, with about 300 signatures, was submitted to the commission, according to the quasi-judicial agency’s staff. “A large portion of the public that raised concerns with the project were residents of Linda Isle, a private residential island located just south of the project site,” Coastal Commission staff stated. Increased noise levels, loss of views, glare from vehicular headlights, lack of sufficient parking, traffic, public access to Back Bay Landing and potentially unsafe navigation hazards were among the complaints lodged with the Coastal Commission. Project plans were amended to diminish view obstructions, according to Coastal Commission staff. Coastal Commission staff said the project could potentially have an adverse effect on the California Brown Pelican and California Least Tern. A portion of the Balboa Marina West parking lot and waterfront area was once home to the Reuben E. Lee Riverboat restaurant (which was dismantled in 2007). The restaurant was later replaced by the Newport Harbor Nautical Museum. Balboa Marina West could be connected to the planned Back Bay Landing project should the latter be approved by the Coastal Commission. The original Balboa Marina was established in 1962 and featured 132 boat slips. Original reconstruction of the marina was initiated in 2003 and would only include 105 boat slips. The project’s applicants are Irvine Co. and the city of Newport Beach. Questions or comments about the Balboa Marina West project can be directed to Newport Beach’s Harbor Resources Department (Chris Miller, cmiller@newportbeachca.gov), CAA Planning (Shawna Schaffner, sschaffner@caaplanning.com) or the California Coastal Commission (Karl Schwing, karl.schwing@coastal.ca.gov).